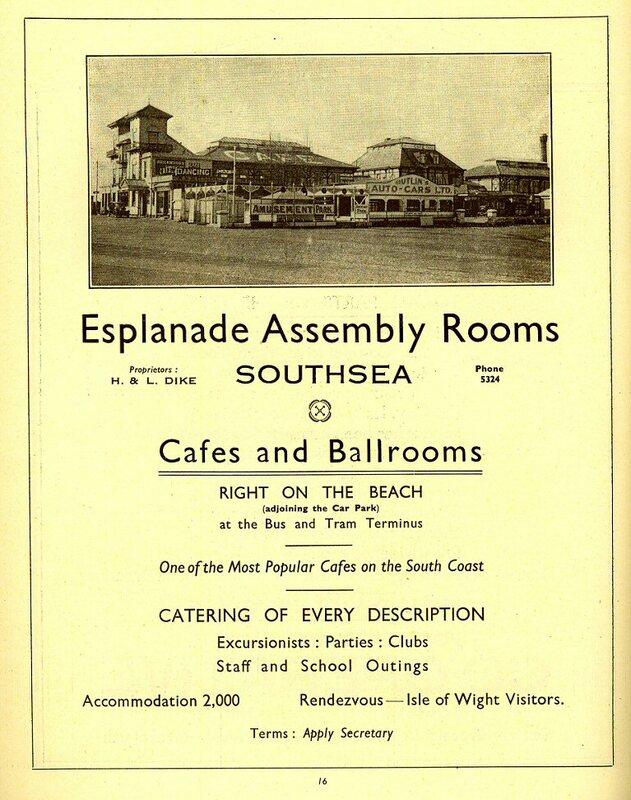 with stairs in the corner, and looking very grand and palacial. 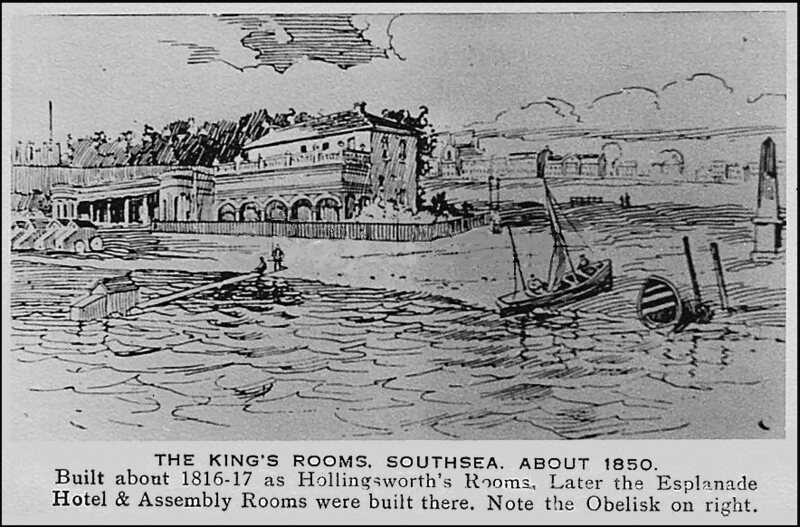 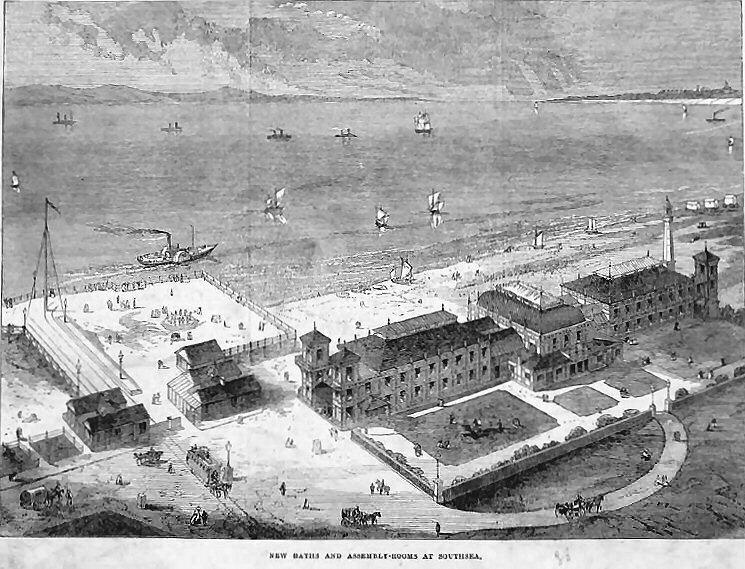 15th to 18th June, 1914, Conference of the International Abolitionist Federation to be held in Portsmouth, in the Assembly Rooms, Esplanade Hotel, Southsea. 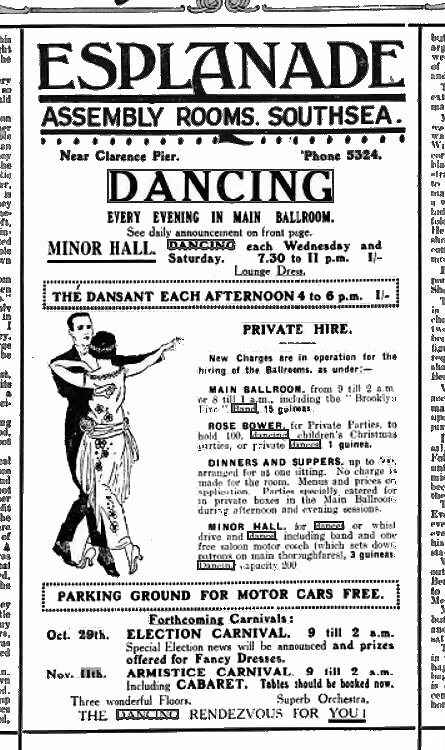 Subject Prostitution in Great Britain. 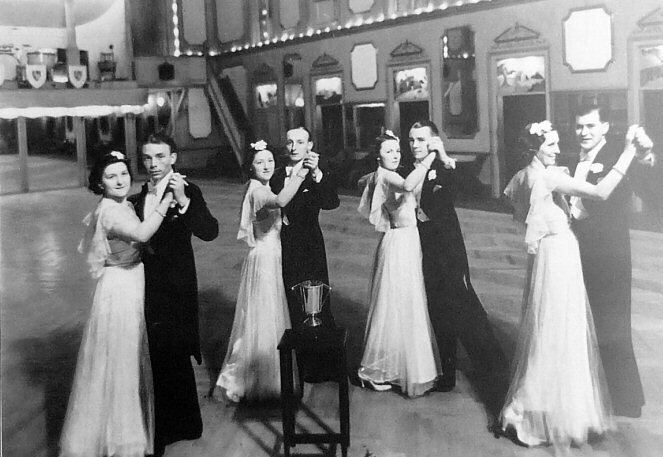 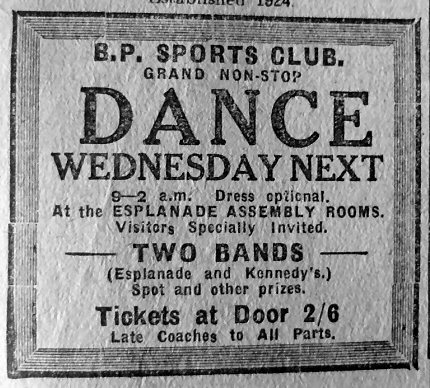 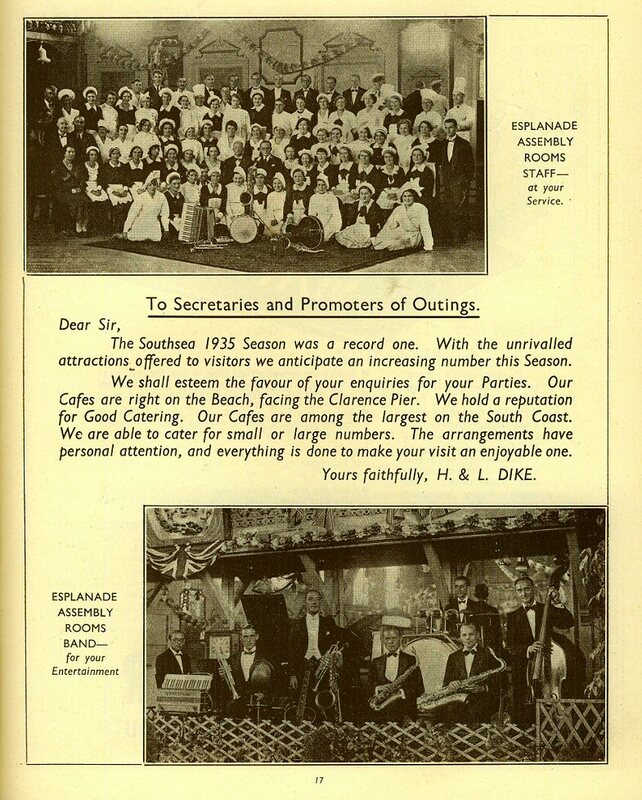 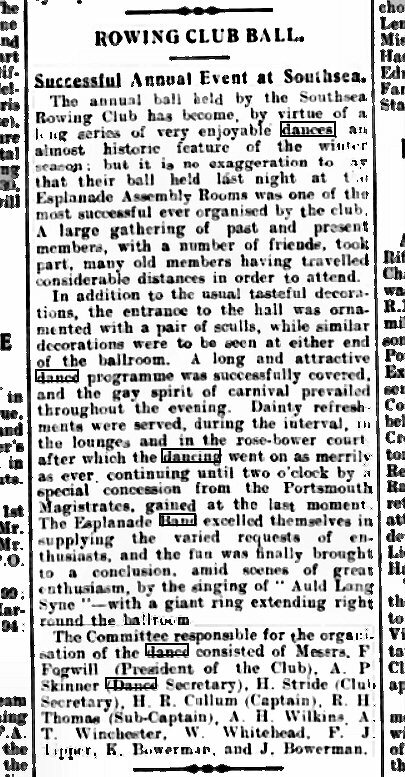 1931 March 17th The South Hants Nomads Club hold a dance. 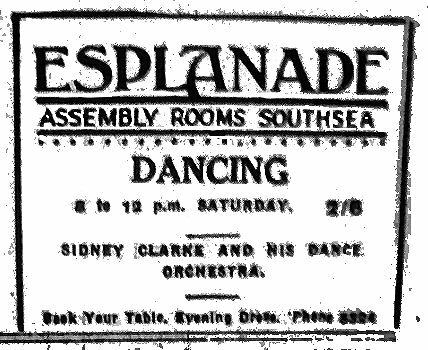 12th May 1934 Sidney Clarke and his Dance Orchestra. 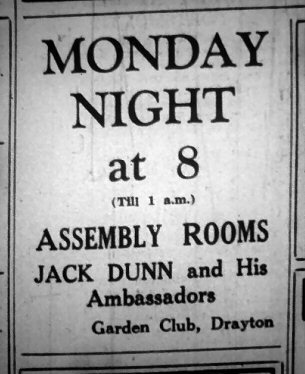 6th January 1939 Jack Dunn and his Ambassadors. 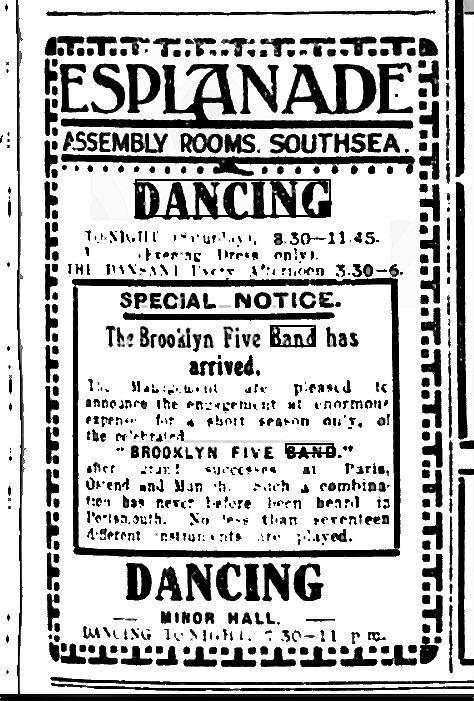 15/1/1939 At the Assembly Rooms Garden Club, Drayton Jack Dunn's Band play. 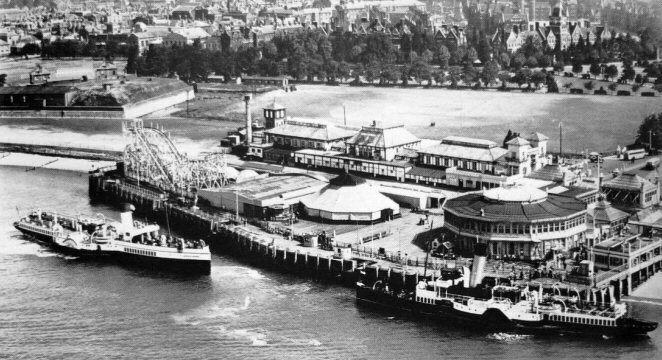 13th March 1939 Party at Southsea Sir Herbert and Lady Cayzer. 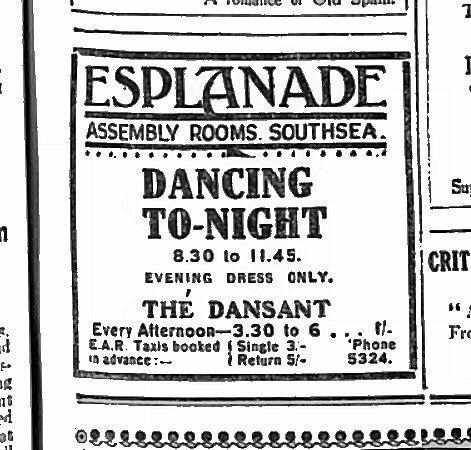 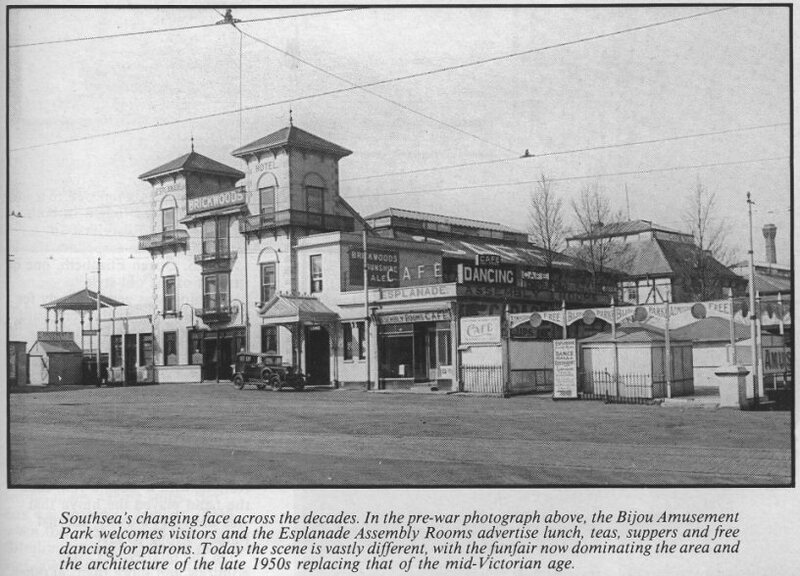 the Esplanade Assembly Rooms. 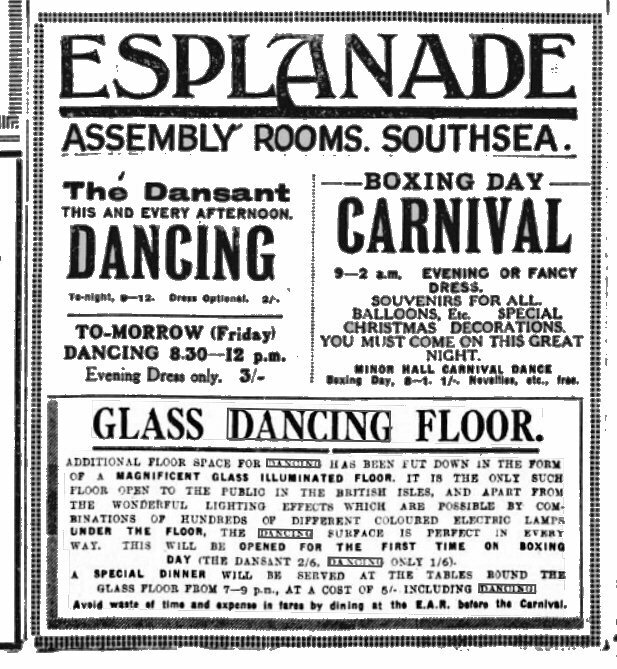 Southsea, on Saturday, gave a pary to 250 members of the Young Briton Movement in Sir Herbert’s constituency.